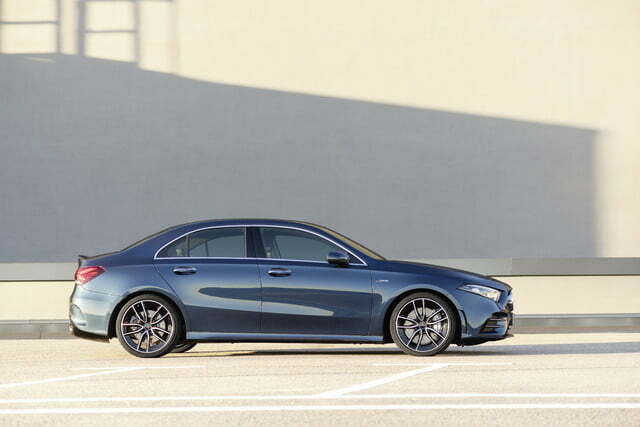 Mercedes-Benz upgraded its entry-level model, the A-Class Sedan, with help from its performance-obsessed Mercedes-AMG division. 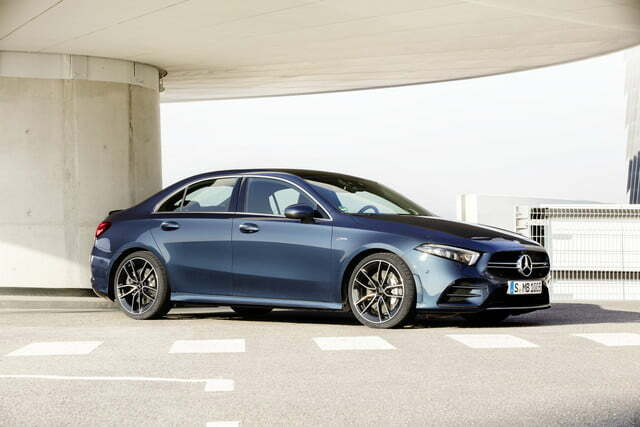 The 2020 Mercedes-AMG A35 is a quicker alternative to the standard A220 with looks and tech to match its power. 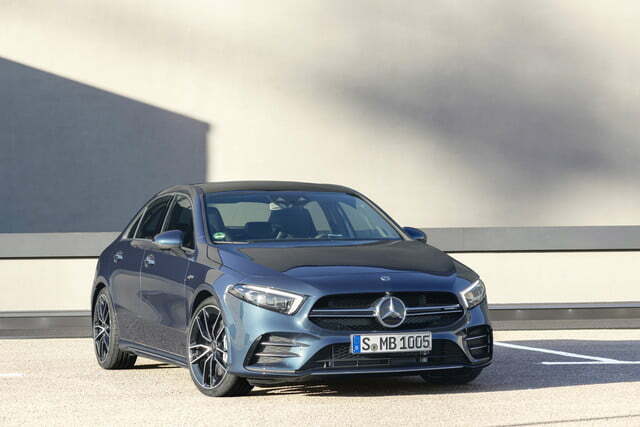 Stylists gave the A35 a more distinctive front end characterized by an AMG-specific grille and a handful of chrome accents. 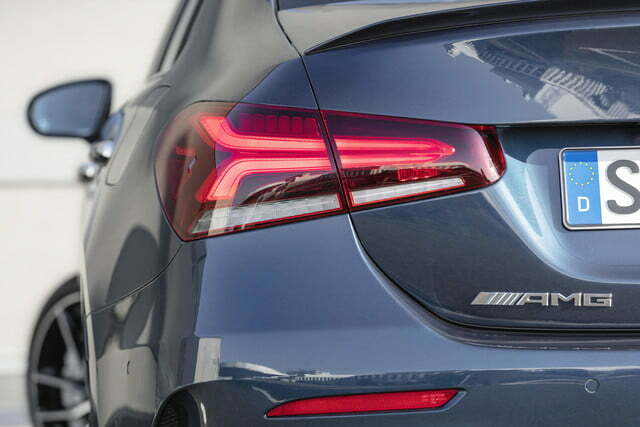 The rear end receives a pair of round exhaust tips, and a low-key spoiler attached to the trunk lid. 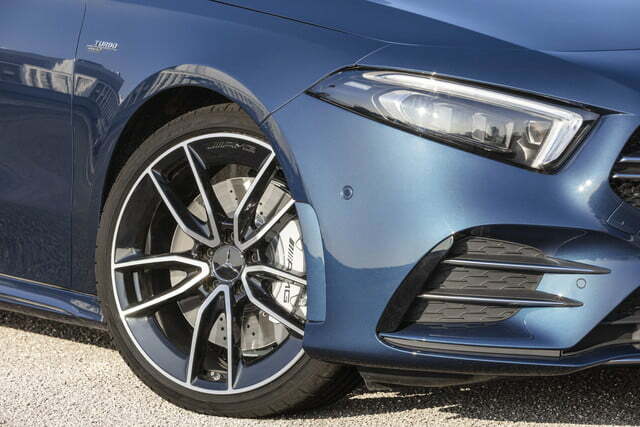 It looks sharper than the A220 without tilting toward the tuner-friendly side of the design scale. The sheet metal hides a suspension that’s lighter and firmer for more dynamic handling, and bigger brakes. The A45 shares most of its interior with the A220, which isn’t a bad thing. 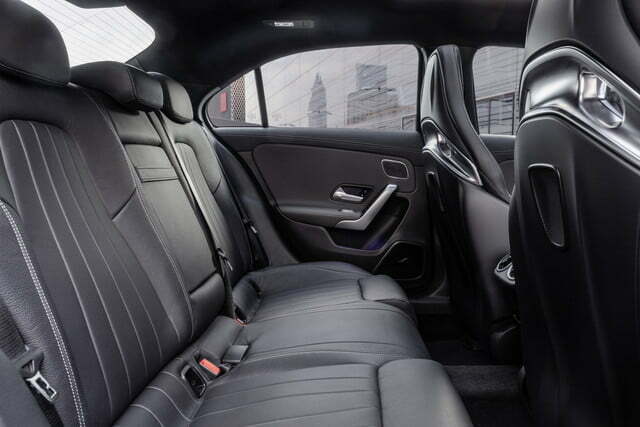 Digital Trends praised the model’s well-built and comfortable interior. It comes with the artificial intelligence-powered, touchscreen-based MBUX infotainment system, but software engineers upgraded it with an application named Track Pace that relies on GPS data and an armada of sensors to record over 80 parameters (like the position of the throttle pedal) and plot them on a graph. Drivers who plan on hitting the track can use the optional Track Pace app to record and analyze each lap, and get a better idea of how to drive faster the next time they leave the pit lane. It’s tech for gearheads. Though not every A35 owner will visit a race track, those who plan on it are in for a real treat. 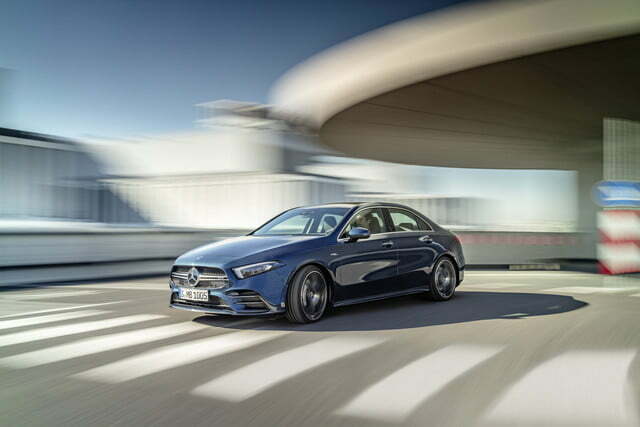 Mercedes-AMG fitted the A35 with a turbocharged, 2.0-liter four-cylinder engine tuned to provide 302 horsepower at 5,800 rpm and 295 pound-feet of torque from 3,000 to 4,000 rpm. 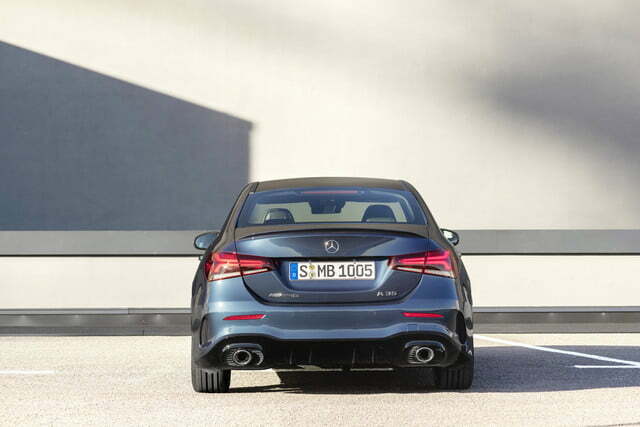 Those figures align it with the Audi S3, which offers 288 hp and 280 lb-ft. of torque. 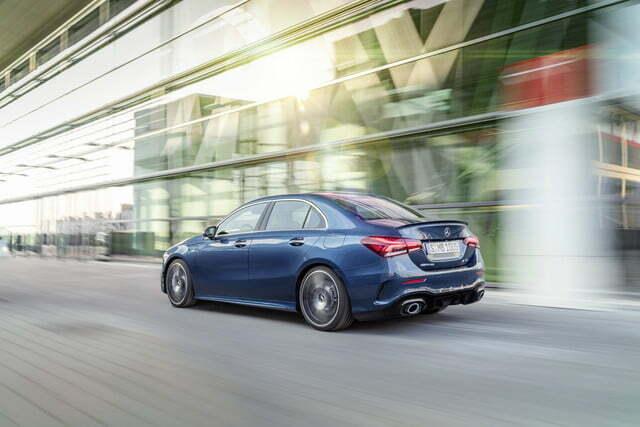 The A35’s engine spins the four wheels through a nine-speed automatic transmission and a sport-tuned version of Mercedes’ 4Matic all-wheel drive system. 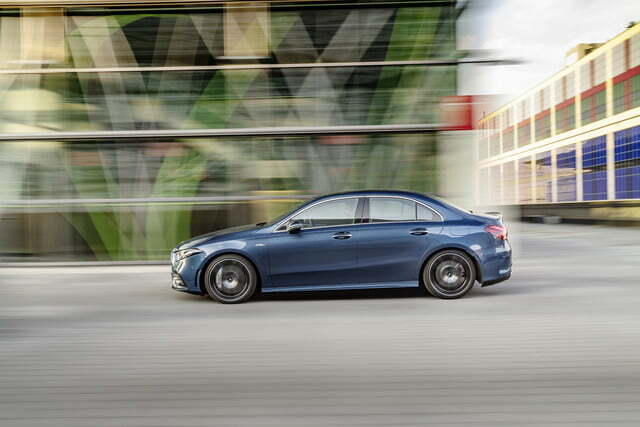 The firm promises its latest sport sedan takes 4.7 seconds to reach 60 mph from a stop. 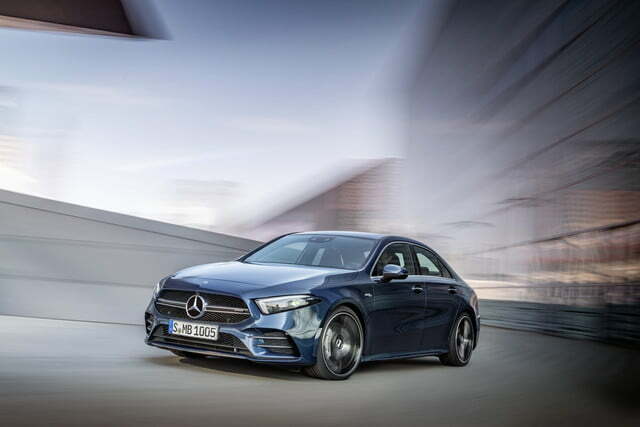 The 2020 Mercedes-AMG A35 will start arriving in showrooms in the weeks following its public debut at the 2019 New York Auto Show. Pricing information will be released closer to its on-sale date. 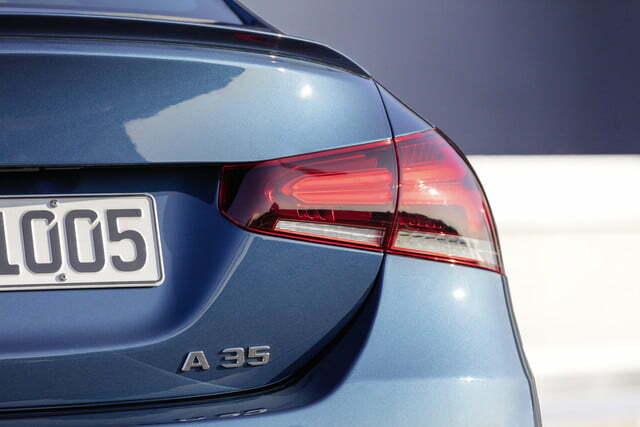 While it will be the hottest member of the A-Class lineup, it likely won’t keep that distinction for long. 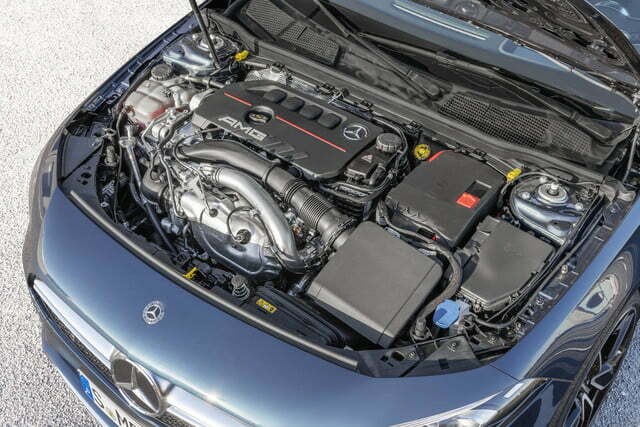 AMG is preparing a range-topping A45 model that could pack as much as 400 hp. We expect to see it by the end of 2019.